And that frustration could mean they fall short of payment incentive goals, SA Ignite says. Despite high participation rate for MACRA's Quality Payment Program, providers may not be set up for success. New findings from analytics company SA Ignite and Porter Research shows the electronic health records systems they are relying on to help them report data are largely seen as inadequate and unsatisfactory. The State of QPP Preparedness Industry Report, which analyzed feedback from nearly 120 health system executives regarding their organizations' preparedness for the QPP, found that while most health systems are relying solely on their EHR or population health management solutions to execute their quality reporting, most respondents said they're dissatisfied with the performance of those systems. That contradiction could meal they fall short of payment incentive goals. Ninety-four percent of the study respondents are actively participating in the QPP, showing the forward momentum of value-based program adoption, SA Ignite said, and 97 percent said their organizations are relying on their EHRs or PHMs for reporting. But low confidence in those systems prevails, particularly pertaining to crucial functions for QPP performance like identifying all eligible clinicians, pinpointing focus areas to increase scores and seeing overall MIPS score/estimated financial impact. Another paradox lies in the 64 percent of respondents who said they want to maximize their QPP payment incentives. Despite that sentiment, 73 percent of respondents said their system vendor doesn't offer a specific QPP management solution, meaning they don't have a program that is specifically geared toward participation in the QPP, navigating its requirements and producing the desired data, the report showed. There is also widespread variation among respondents as to who actually oversees their QPP effort. Management departments cited included quality, clinical, administrative, IT, and population health departments as various managers of the program, the report said. "EHR and PHM solutions were designed to manage patient care, not to optimize performance in value-based programs," said Matt Fusan, director of customer experience of SA Ignite, whose products include analytics support for MACRA. "It should come as no surprise that these solutions don't have the necessary functionality to support quality performance management. 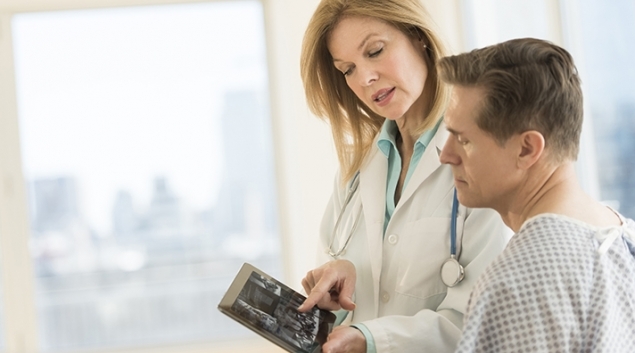 Healthcare leaders hoping to maximize their incentives must look beyond the EHR to solutions that mitigate complexity and facilitate proactive program management." The report offered guidance on how to deal with this challenge and streamline processes since MACRA reporting is already underway. First, be mindful of who you actually need to measure. Clinician rosters can change and there could be reporting options or requirements you aren't aware of. "Having the ability to scope out scenarios, or compare results at an individual and group level, is one-way healthcare organizations can optimize performance," the report said. Second, know what to measure and how to report your data. With multiple measures in the QPP categories, each with a different weight, set of benchmarks and exclusions it is crucial to know what measures will have the greatest impact. Identifying hidden opportunities, forecasting scores, confronting shortcomings and choosing the best reporting method are all essential to success. Third, get organized and get into the right mindset. Making the move to value-based care requires significant cultural changes within your practice as well as organizational changes. These should be in place before you jump into reporting. Fourth, know what your organization is capable of handling, especially when it comes to how much you report. "With value-based care programs set to expand over the next several years, providers must determine what is possible and practical for their specific organization. It is important to set realistic goals based on realistic plans," SA Ignite said. Finally, make a multiyear plan. The QPP and incentive-based payment models are going anywhere, though they will certainly evolve over time. Having a long-term plan on how your system or practice will continue to participate and adapt to the new regulatory requirements is key to not only getting by but thriving under the new frameworks.